A new school year started on the first of April, 2015 with more than 500 new students including Undergraduate, Graduate, Special Course, and Exchange students. About 2,000 students have started their student lives at International Budo University. What kind of dreams or hopes do they have? Each day is a unique and special time. I hope they will overcome challenges with bravery in this new place of learning and living. In International Budo University (IBU), there are faculty members who can help students to fulfill their dreams and hopes by guiding them in the right direction in studying and experiencing activities. We hope new students will acquire toughness that enables them to think for themselves, make their own choices, and play an active role in any circumstance after graduation. IBU is a single-department college of physical education. Universities of physical education used to be places of higher education for selected students with excellent athletic talents as well as academic abilities. Today, they have become places where students with various intentions get together.The mission of IBU is to foster socially significant human resources. In order to achieve this mission, we have changed the curriculum drastically along with the faculties and departments in the school's 30th anniversary. In short, this new curriculum has been established with a strong sense of cooperation with society. We aim to nurture human resources who can respond flexibly to various circumstances by selecting and learning not only on campus, but also in practical situations. This change will be completed in the 2016 school year. I look forward to seeing how it will be accepted and evaluated by society. 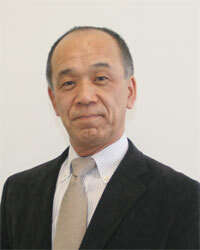 Thirty years have passed since IBU was founded by Dr. Shigeyoshi Matsumae. To what extent has Dr. Matsumae's vision of the future been achieved? I think we should reaffirm the University Creed and deal with educational and investigational activities, while continuing to contribute to society. We will continue exploring the Budo Spirit which consists of "justice" and "peace", we will forge ahead with educational and investigational activities, and will contribute to society. By this course of action, we will achieve the mission of "enriching society through Budo and sport".